In 1842 businessman Jerome Case established JI Case in Rochester, Wisconsin. A year later, the company changed the place of registration to the town of Racine in the same state, as its location was closer to the water and facilities on which it was possible to build and repair agricultural machinery, the production of which decided to tackle Jerome. At the new location, the company was registered under the name Racine Threshing Machine Works. In 1963, Casey's business associates were three farmers: Massena Erskine, Robert Baker and Stefan Bull. Later they were given the nickname of the Big Four in agricultural production, and Case himself was later noted as the first American to use a steam engine for agriculture. In 1865, the symbol of the company was presented - the eagle, completely repeating the talisman of the legendary Wisconsin regiment of the Civil War in the United States. In turn, the first design success of Kais was the steam harvester, created in 1869. Later this machine was placed in the Smithsonian Museum in Washington, DC. With his combines, Jerome Case took first place in 1879 at the Paris exhibition in France. These several cars were the first machines of Case, who were sent abroad. The first of those thousands that were later exported internationally in large quantities. At the same time, Case also created a steam tractor based on one of its engines. In 1884, Jerome Case visited one of the farms in Minnesota, where his technique was used, as he heard rumors that the car was not working. It turned out to be true. Outraged by the fact that he would not be able to take the car with him and repair it, the next day Jerome burned it, and when he returned to Wisconsin, he ordered the owner of the destroyed tractor to be delivered to the owner. The farm was later named after Keyes, which, by the way, is not at all surprising. In 1890, Case expanded its production, reaching South America - the plant was opened in Argentina. A year later, Jerome Case died at the age of 72 years. At that time, Case was the most productive company in the whole of North America: Case Company produced agricultural machinery with engines ranging from 9 horsepower to 80. 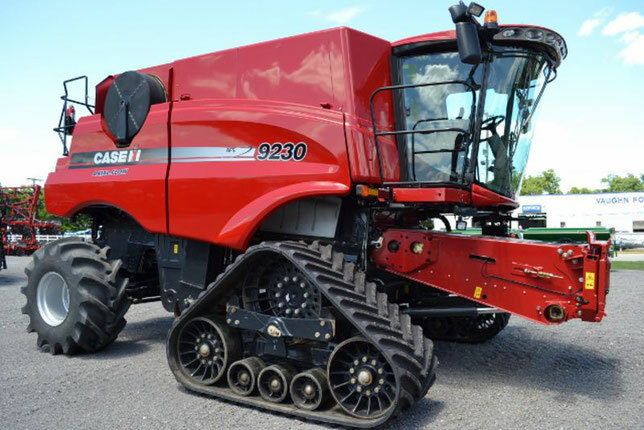 In addition, a batch of 110 horsepower tractors with a two-tier cab was produced, as well as nine tractors Capacity of 150 horsepower. Using the production of gasoline engines Case Company took up in 1895. In 1899 the enterprise came out to the Russian market, and in 1904 presented to the consumer its first combine completely made of steel. In the same year, the first tractor with an internal combustion engine was produced, and in addition, the company was firmly entrenched in Europe. This was shown by the results of the contest, within which it became clear that the Case Company technique is found more often than other equipment on the arable lands of the "old world". By that time, the range of Case Company products was very diverse: from combines, tractors and graders to water carriers, buggies, plows and even simple cars. However, the production of civilian auto Case Company engaged in a relatively short period of time. Of the successes in this industry is worth noting only 7-seat tourist car, released in 1920. With the beginning of the twentieth century, it became clear to everyone that the future belongs to gasoline engines. The management of the Case Company invited rider Joe Jaggersberg, who agreed to test their new engine on the Indianapolis 500 race in 1911. And the following year the company started to produce engine oil. Also for several years Case Company was engaged in the production of kerosene tractors. Oddly enough, the European sales of the company were positively influenced by the outbreak of the First World War: almost every farmhand was drafted to the front, and farmers had to get out to save the harvest. In 1919, an event occurred that affected the future of Case Company - an enterprise called John Deere Company broke into the market of harvesters. The response of their competitors from International Harvester was a new course for the acquisition of the P & O Plowing Company from Canton, Illinois, and Chattanooga Plowin from Chatanuga, Tennessee. Then Henry Ford, with his Fordson Tractor company (look: Fordson Truck PDF Manuals), intervened in the same branch of the market. This is how the "Tractor War" began in 1923, which took place between Ford Motor Company, John Deere, Case and International Harvester. 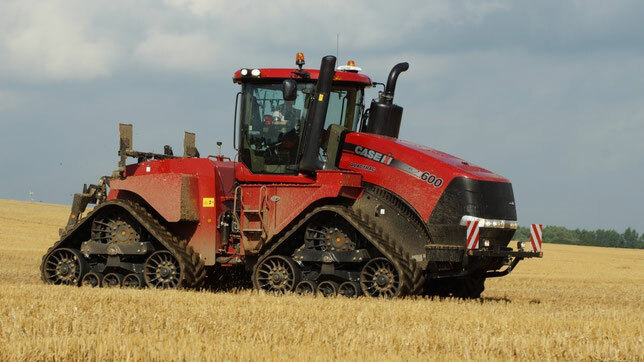 Case then became part of International Harvester, thus transforming itself into Case-IHC. But even after the merger, the company controlled only 9% of the market, while 71% accounted for the company Ford. In the same year, the company Keisa celebrated the anniversary - was produced 100-thousand harvester in the history of production. And in 1928 the enterprise expected another change of name - this time the company became known as J.I. Case Company. A year before, the factories had stopped producing legendary steam tractors, and the priority was given to internal combustion engines. Equipped with different types of engines, the tractors also differed in color. Steam tractors were painted in black and green colors, and petrol - in gray (later they became orange, while the excavators were painted with red and yellow flowers). In 1929, the company continued its policy of expanding the international market in Australia, Mexico and Sweden. In the same year, the first tracked tractor J.I. Case Company. During 1940 in the state of Nebraska there were tests of a diesel tractor WD-40. A little later in the same year the company introduced tractors of the S and V.
During the Second World War J.I. Case Company produced artillery shells, spare parts for B-26 airplanes, bombs and Sherman tanks. In 1941, the company opened three new factories in the United States of America. A year later, the light came out Model 123 SP. In addition, 1942 was significant in the history of the company by the appearance of the first cotton picking machine, which also fell into the Smithsonian Museum. In 1947, the company's logo changed - the name "C" disappeared from the name, and the logo itself was now a person sitting in the tractor. This emblem was developed by the famous industrial designer Raymond Lowe. In 1958, another foreign plant opened in Doncaster, Great Britain. During the next 31 years, the company significantly globalized. Many other enterprises managed to join Case in such a long period of time. So in 1962 the company J.I. Case bought out the corporation American Tractor, which then led the US in the volume of production of excavators and trucks. Thanks to this merger, in 1967 Case Company was able to present to the public the most successful excavator model 250C Construction King, which became a synonym for this type of equipment in the United States. In 1984, many units of International Harvester merged with J.I. 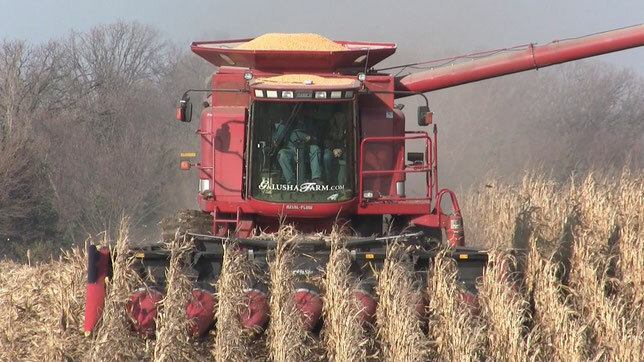 Case Company, and began to produce products under the brand name Case International (later Case IH). Until 1988, 94 products were produced under the name CASE, and only then appeared Magnum. In 1996, the company acquired the Australian manufacturer of tractors Steyr Tractor. Case Corporation merged with New Holland N.V., becoming CNH, and since November 1999 - CNH Global. Due to the merger, CNH Global had to sell factories in Doncaster, United Kingdom, and Winnipeg, Canada. Such a merger gave an optimistic mood and gave hope to Case Corporation's prosperity in the European market, so in 2006 a business plan was created to return the company to the status of "international". For this, the old International Harvester logo was returned, and in addition, there were significant differences between the two existing brands within the corporation.